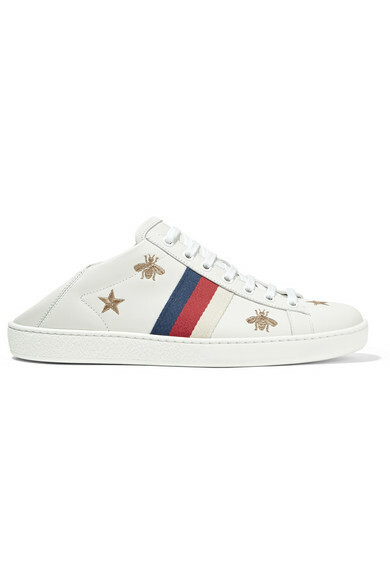 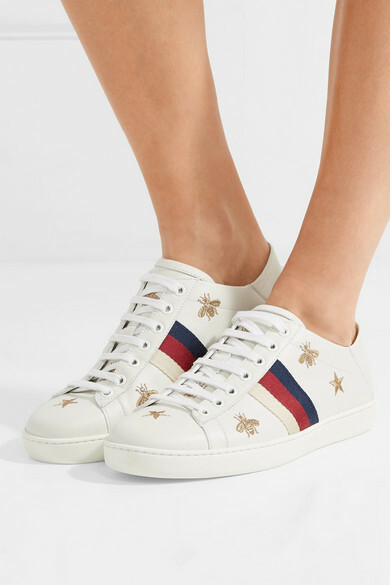 Step into Alessandro Michele's flora and fauna-filled Gucci Garden with these bee-embroidered sneakers. 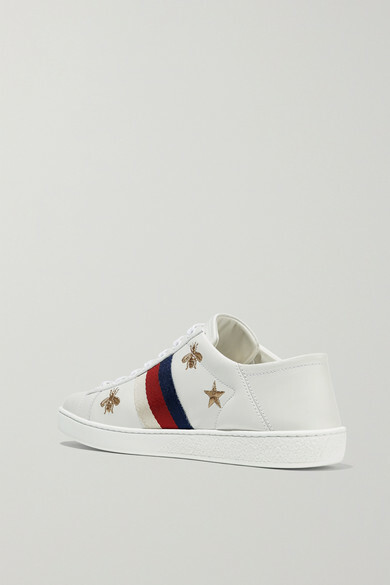 They're made from smooth white leather and designed with the house's signature webbing. 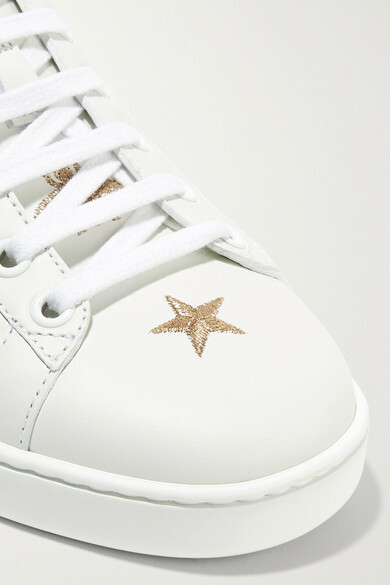 The collapsible back makes them perfect for transitioning between seasons. 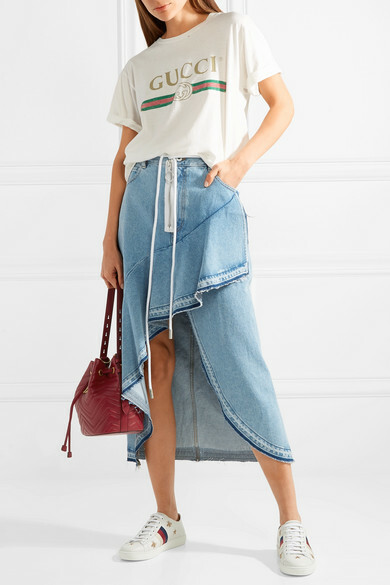 Shown here with: Gucci T-Shirt, Off-White Skirt, Gucci Bucket bag.